The follow-up book to my first full-length Willow the Vampire book is gradually taking shape. 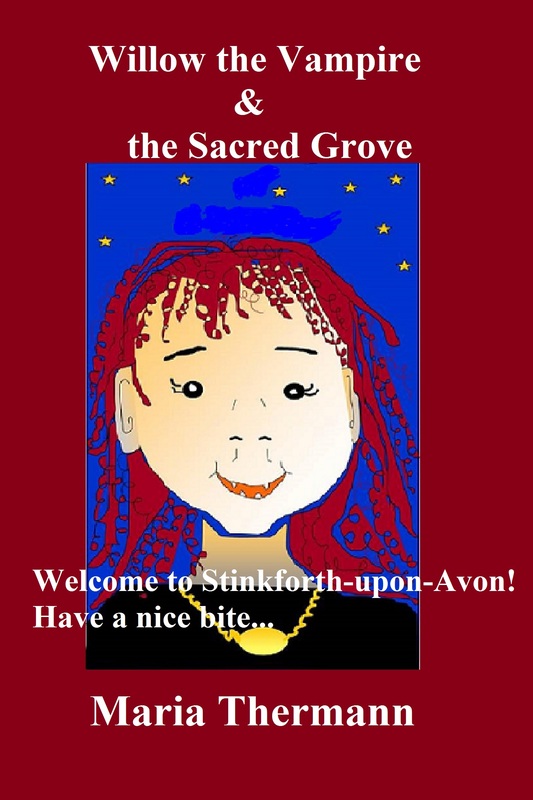 Willow’s 12-years-old now and a lot wiser…travelling to Wuerzburg in Germany with her school friends Felicity and Darren, she discovers that maybe her newly found wisdom still needs a bit of spit and polish. Trying only to help, Willow gets involved with the Wuerzburg ghosts, lost souls of men, women and children burned as witches by an insane Prince-Bishop regime several centuries earlier. Unfortunately, Willow discovers that even streetwise 12-year-old vampires can be gullible in the extreme, for the ghosts have their own agenda and no intention of finding “eternal rest”. At least not without taking all the descendants of the wicked Bishop and his evil witch-finders with them! Also in the Blutwurst/black pudding pipeline of writing is an Early Reader picture book of blood-soaked short stories that deal with the time when Willow lived in London and went to Vampire Infant School, as sort of kindergarten where young vampires learn the ropes of their trade and sharpen their fangs in more than just practical ways. A lot younger and quite friendless, Willow finds daily life in the metropolis a struggle. It isn’t helped that she’s lumbered with looking after a young cousin: feisty Flora Fangs, terror of the sand box, destroyer of poetry, shredder of ballet shoes, eater of everything that hasn’t been nailed down.